Logic has always felt very much like a snug-fitting glove. I know it like the back of my hand and as soon as I fire up my template song, I’m instantly in a very familiar world. I know where everything is and can instantly jump into the process of creating a track. That’s probably why, when I fired up Ableton Live yesterday, I felt like a lost puppy. I was suddenly staring at a screen full of icons, grids and text. None of it meant anything. I recognised what appeared to be faders and panning controls but everything else was foreign. Meaningless. Having started out on Cubase and subsequently moving onto Logic, I’ve been almost solely subjected to the linear approach of timeline-based sequencing and production. Dabbles with Reason are perhaps an exception, but even that follows the same time-honoured approach to building tracks. Rarely a week goes by when I don’t spot someone using Ableton. Whether it be a YouTube video or an episode of ‘In The Studio’ from Future Music, I’ve always been fascinated to see professionals and fellow enthusiasts singing its praises and claiming it has revolutionised the way they make music. Really? 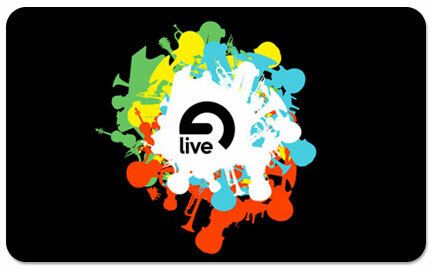 As its name suggests, Live is partly aimed at those wishing to take elements of their studio out on the road. However, this holds little interest for someone who makes music solely in the comfort of his spare room and is partly the reason I’ve never bothered to seriously look into Ableton’s offering. Last night, however, I decided to try the demo (and it is worth mentioning at this point the fantastic approach Ableton take with this, offering any of the Live variants on a free 30 day trial with absolutely no limitations or missing features. Bravo.). This isn’t the first time I’ve tried Live, if I’m honest. I did so several months back but instantly got fed up with not knowing what I was doing and went straight back to my warm Logic gloves. In fact, I got so fed up with it that I ended up heading downstairs to shoot some people in the face on Call of Duty. Later, having expelled many bullets and a large glass of red wine, I went to bed, laptop in hand (my fiance is away, therefore this type of behaviour is temporarily acceptable and not at all antisocial). I decided to watch some of the videos on Ableton’s site. It was this one which convinced me to give it another go, because the guy presenting it finally explained what the mystical piece of software is all about and why ‘being different’ is actually a very good thing indeed. Ableton allows you to build grooves in a way no other DAW will. For example, in Logic or Cubase, you can bash a few midi notes in and create a ‘region’ on a horizontal timeline. These regions can be copied and moved at will, allowing you to build and arrange your production as you go along. The timeline itself allows you to instantly recognise where you are within your track. Which all sounds fabulous. But it can also be debilitating and often leads nowhere; you get so tangled up in the process of arranging that you forget about the process of writing. Live offers a ‘session view’ which turns this process completely on its head. Instead of viewing a timeline, you create your own loops, across any number of bars you wish. Once you’ve created, say, a drum loop, you can leave it playing and record a bass part over the top. And so on. This sounds simple, but that’s the point. Without having a massive, gaping timeline to distract you, you can get on with the process of building a piece of music from scratch, even if it is only a bar in length. Many refer to it as a sketch pad for music and that’s a perfect analogy. It’s early days, however, and I need more time to play but immediate thoughts are positive. I can see Ableton becoming a very useful part of the writing process. Great to see you giving it a go. I’ve definitely found that being able to play one track endlessly while writing the next one is a ton easier than having to loop a part endlessly and chop it up later. I also like being able to mix and add things on the fly and then go back and remove what I just did if I borked it. Great this is what I use it for. Sketch out in ableton then mix in Cubase.